// she's only happy in the sun. which isn’t awful. or great. but just exhausting. i don’t know if i’ve mentioned it here yet but SoulPancake has been contracted by the Oprah Winfrey Network to create a series of webisodes. it’s a HUGE opportunity and we are all really excited about it. we start shooting in a week and there is SO much to do and so much to learn about this process. i feel a bit like i did when we started the book – completely out of my comfort zone but simultaneously hitting in my creative stride. it will be incredible to be partnered up with such a gigantic brand as Oprah, and we’re hopeful that it will further propel SP into the world. hooray. we vespa’d to chinatown on sunday. i was on a mission to find roasted brown rice green tea – one of my all time favorite hot drinks. and i didn’t find any in the teabag version and as much as i want to be a classy cat who uses a fancy wrought iron teapot, i’m too impatient. 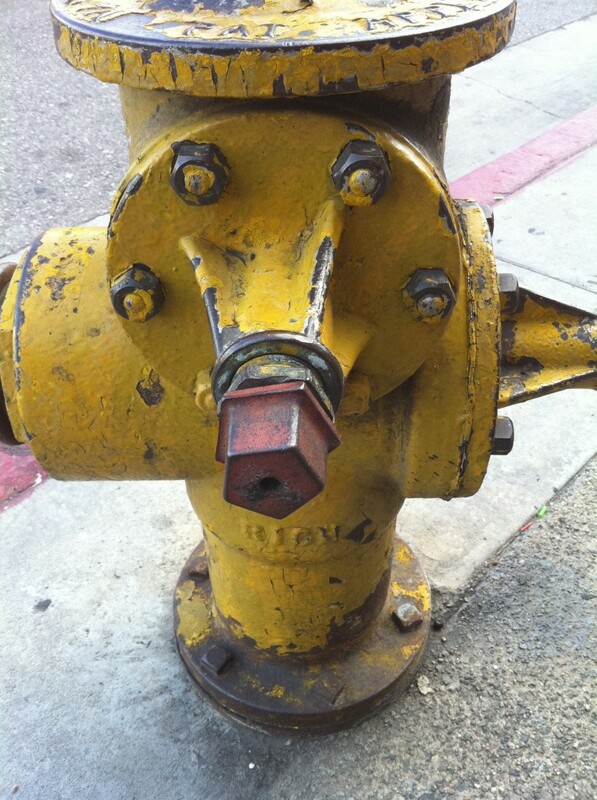 but, the trip was not a waste because i did find this amazing FIRE HYDRANT FACE. after the chinatown green tea mission we scooted back to our silverlake hood and stumbled upon this little shop called YOLK. which has the most charming household stuff that you just want to hold and have. the only reason we didn’t leave with an armload of adorableness is because nothing in the store was less than $20. and you know what we can get for $20? at least 3 loaves of organic sour dough rye bread and 3 blocks of new zealand cheddar cheese from trader joes. and since that’s what we live off, the bread & cheese won. 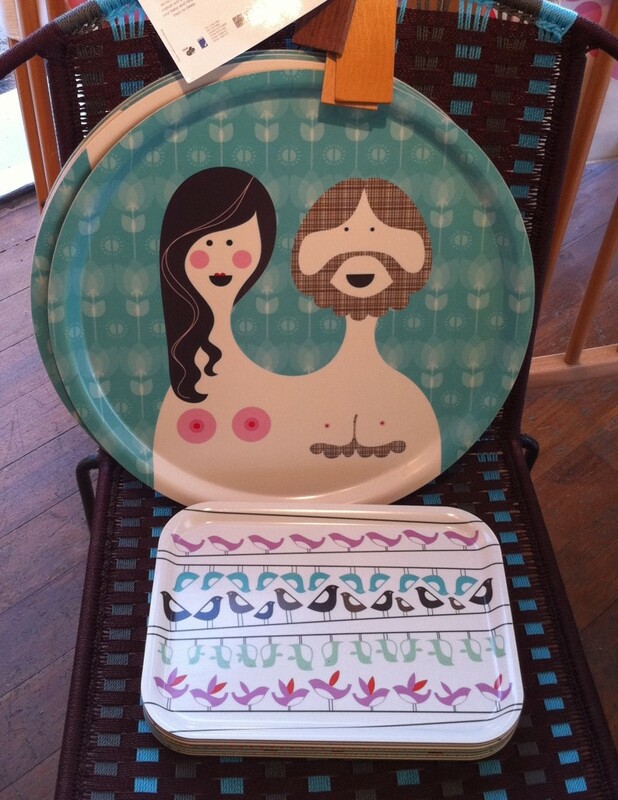 but check out this tray design. so except for the err… body ‘parts’, doesn’t this look like me and dev, in stylized format? creepy yes. but we still wanted it. and the bird one too please. water and i would put a tea bag in it. own little world of creations. Yay that sounds like an awesome opportunity!